Musings on China, Retail CRM, Culture and Travel. 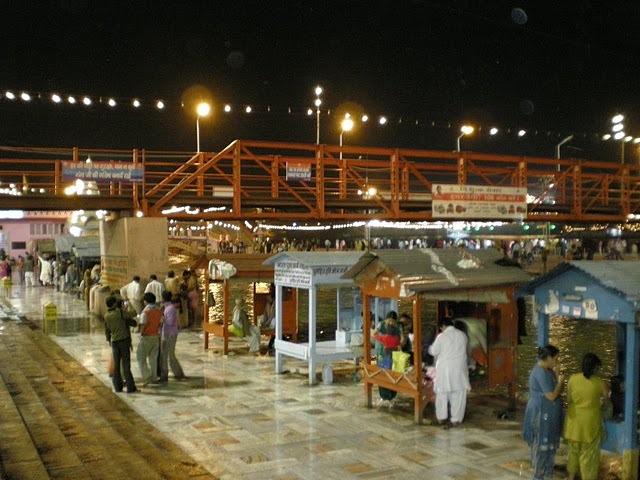 Rafting at Rishikesh & the Holy Dip at Kumbha Mela! Easily one of the most impulsive decisions I’v taken. I was on my way back to hostel after dinner – taking a swagger stroll down Gupta-ji for an after-dinner juice, when I was conned into (& I’m Glad I was!) joining a gang of friends to Rishikesh over the weekend. We drove down – 7 of us in a Qualis and 4 such vehicles – so that’s about 28 of us. The drive lasted 14 hours – 9 of which we spent playing Mafia in the car .. and the rest 5 trying to squeeze out sleep and prepare ourrselves for the trekking and rafting that lay in store in the day that followed. We reached Byaasi at about 2 PM(about 30 km north of Rishikesh) from where we were supposed to raft down the next day. The rest of that evening was spent swimming and playing in the river and hanging around the tents. 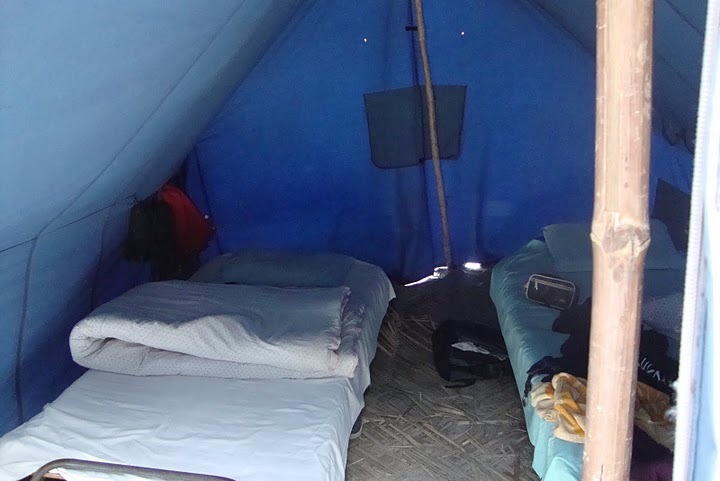 At night, there was a bonfire by the riverside – we drank, ate and went to crash at the tent. Rafting was a LOT of fun. Our navigator / guide kept telling us the names of the rapids and which GRADE they fall in – which made it all the more fun. All of us (26) fitted into 4 rafts went about negotiating rapids – and every once in a while we got into the water as well. At about the half-way mark (after having rafted for about 2.5 hours, we stopped at this river-beach to take rest and have some snacks and refreshments to negotiate the tougher terrain. Teamwork – You HAVE to be WITH the team and a TEAM is only as good as the slowest member. So the idea is to ensure that the slowest member is fast enough and everybody in synch. Guts – Stay calm and brave in the face of coming rocks. 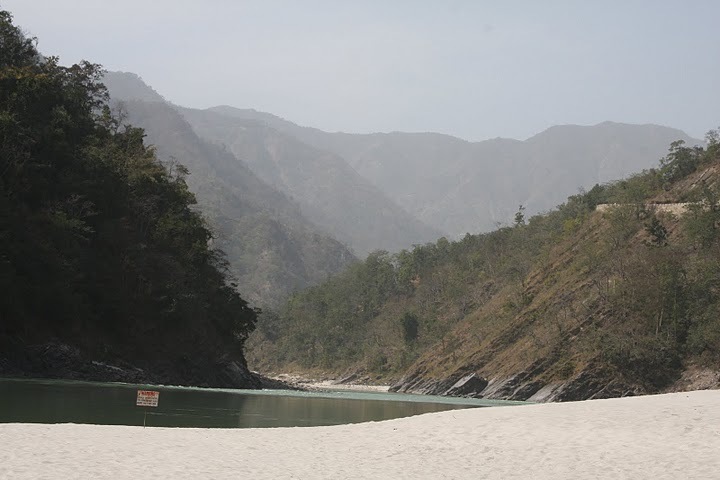 I have actually been to Rishikesh / Haridwar thrice now – so I remembered “Har ki Paudi” well. I cajolied the others in my car to wash away all their sins in the ganges. The holiday couldn’t have ended better than a dip in the Holy Ganges during the Maha Kumbha Mela at Haridwar. A perfect end to a perfect holiday! 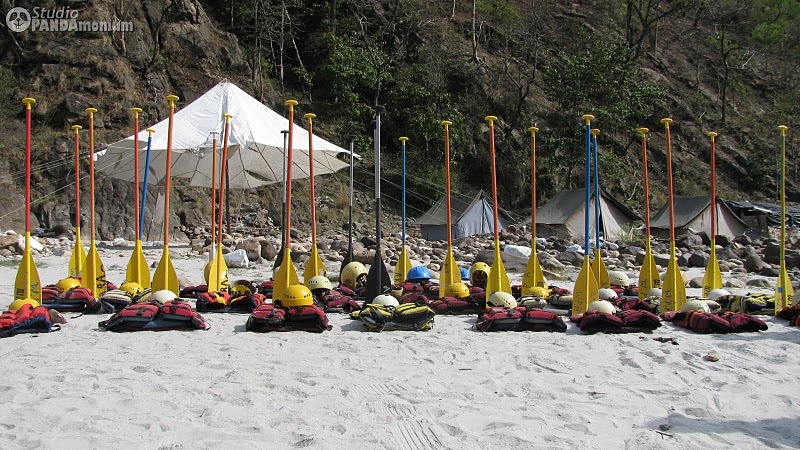 http://www.raftinginrishikesh4u.com- Rishikesh has become a main hub of river rafting in Rishikesh, North India. It’s an adventure sport best enjoyed at a white sand beach next to the river. 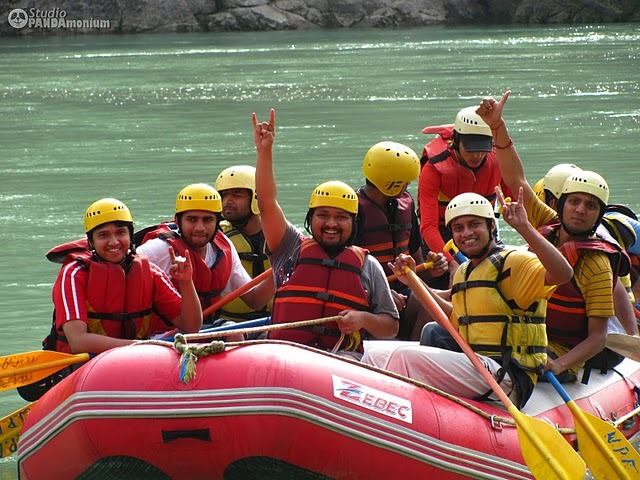 Rafting in Rishikesh, River Rafting in Rishikesh, white water rafting in rishikesh, riverside camping, camping in rishikesh and rishikesh rafting camps. 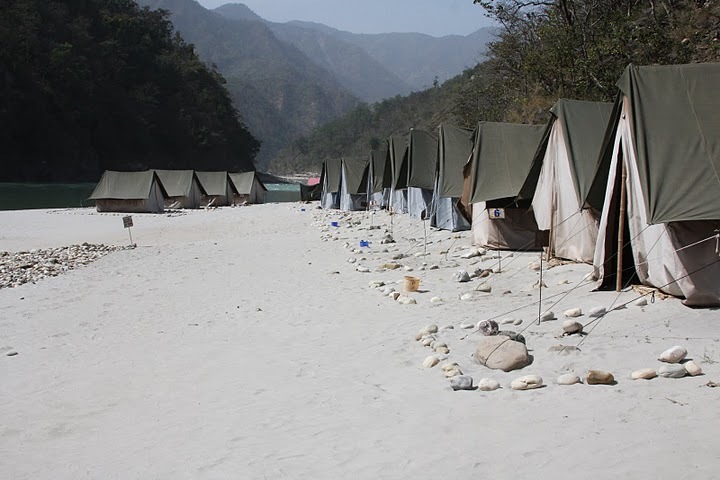 If you want do rafting in rishiesh,camping in rishikesh then coomsoon to rishikesh. Next Next post: Airtel Customer Care – Disappointing! Amit lives and works in Shanghai, is a self-confessed ‘sinophile’, and also a published author. Amit lives and works in Shanghai, is a self-confessed ‘sinophile’, and also a published author. This blog contains his musings on China, Retail CRM, Culture and Travel. ‘The Fresh Brew: Chronicles of Business and Freedom’ is an attempt at covering the life-stories of 25 individuals who either turned entrepreneurs or chose to pursue their own independent careers. It includes a Foreword by Dr. APJ Abdul Kalam. 384,325 page views so far!